Run your business from the palm of your hands. Less hassle, more control, CRM makes it easier. Big Data refers to the massive amount of information businesses collect from online and offline sources. 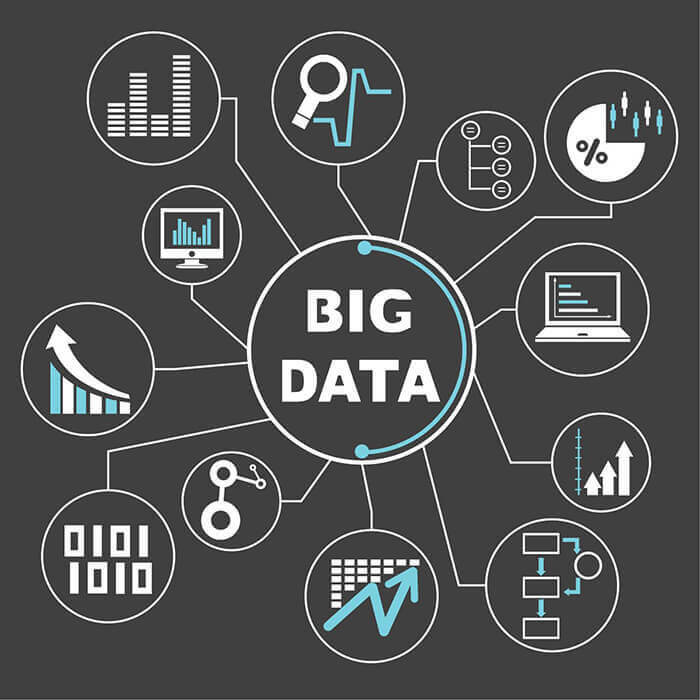 Big data is a sort of catchall phrase that can be used to describe a massive volume of fast moving data which exceeds the current processing capacity of most enterprises. CRM involves a company’s interaction with current and future customers. It is a combination of all customer contact moments and it is used to provide a better customer service. CRM has always involved data, but most of it used to be structured data such as contact information, latest contacts, products bought etc. With the Big Data techniques it is also possible to process, store and analyse massive amounts of unstructured data not supplied by the customer and use this to gain additional insights. Using Big Data technologies, Customer Relationship Management can finally become a true revenue driver. Improved customer analysis – The analysis of all customer touch points, allow CRM and big data to segment customers according to actions. Customer trends can be mined from big data and used to predict needs, directing product development and promotional efforts. Better picture of customer - facing operations – Big data will provide businesses with sales, marketing and customer service performance metrics. With big data, organizations can predict and determine ROI and use it to endorse additional CRM investment. Better decision making – Once the value or lack thereof in customer-facing operations is made clear, businesses can make course corrections and better decisions going forward.